I watched an interview with Carbine Studios’ development director Matt Mocarski at Gamereactor UK last night, and it brought me great joy. In addition to touching on their aggressive content scheduling plans, he mentioned something in the works that is near and dear to my moonshine-soaked heart. Guild Housing. Just let that sink in for a moment. 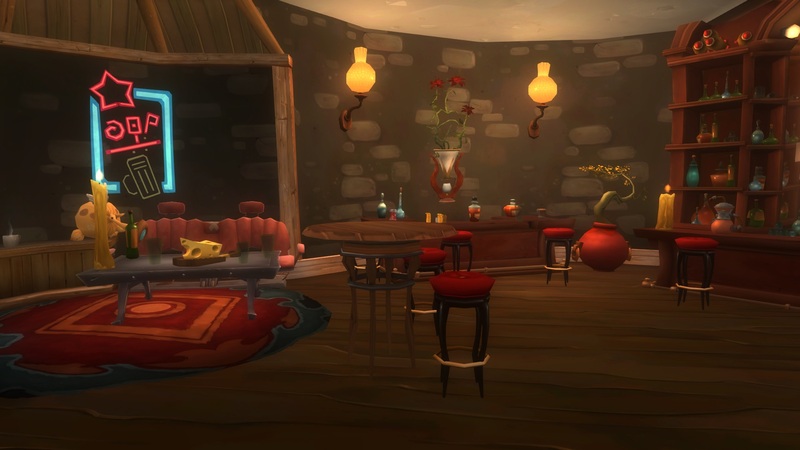 WildStar’s awesome player housing. Challenges, creativity, solo and group dungeon content. For your whole guild to enjoy. I don’t know what form it will take, all we know so far is that it is in the works and will be here “post-launch.” If it is as capable a system as the player housing I am confident it will be amazing. My hope is that there will be room to build and get creative, but also guild housing-specific plugs that will reward your guild for playing together. I can imagine quite a lot of cool things I would love to see. Crafting stations that use mats straight from the guild bank. Scalable or 5-person dungeon plugs obtained from doing group content out in the world with your guild. 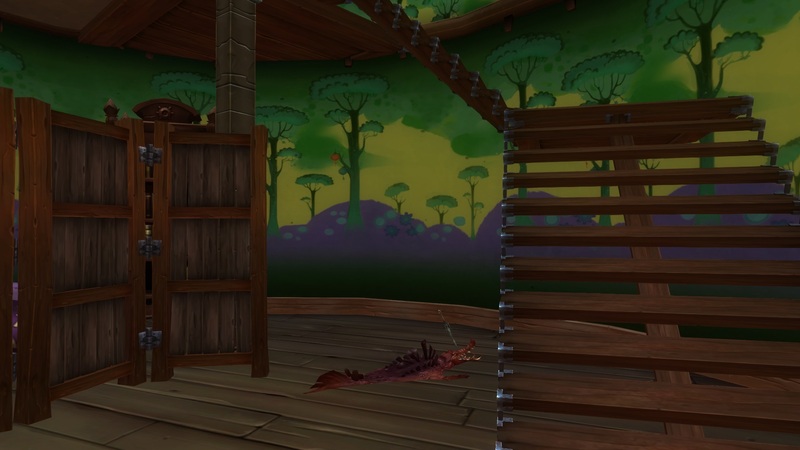 Maybe you killed a huge raid boss this week so you get to haul its carcass back to the guild house and harvest materials from it until it is picked clean. There are a lot of amazing possibilities that I can imagine, but I’m going to repeat something I said on Twitter yesterday. The reality is that I am so excited because I can’t imagine it all alone. It will take a whole guild full of people to imagine it together. We’re in the final countdown to the headstart and launch of WildStar. But the excitement and anticipation are no substitute for actually playing the game. I am currently very grateful that we can count the number of days left to wait on one hand. But even though other MMO I play regularly is in the middle of a content drought that is expected to last for months, at least I can log in and play. What’s a girl to do with no WildStar even available? How have I been coping since Beta ended, and what will pass the time until May 31? I have been playing WoW and Diablo3 a bit more again since WildStar isn’t taking up all of my gaming time. Last week I met my goal of getting a character reasonably geared up for the Herald of the Titans achievement in WoW, and since then I’ve been puttering around on alts. I still get baffled when I can’t dash, double jump or hit Shift to sprint, though. It is funny how fast you get used to those mechanics. In D3 I’ve just been taking advantage of the +100% chance to find legendaries. Even though none of my characters are very advanced in the “endgame” it is still fun to see those orange shinies dropping a bit more often. Both of these games are the equivalent of comfort food for me. They fulfil a need to unwind, hang out with my friends, and kill some monsters in a comfortable, familiar way. This takes 2 forms. There’s the real-life planning that is going to hopefully make headstart extra seamless and fun for me. This includes making sure both my cats and I are stocked up with food and supplies for a few days, getting any cleaning and chores out of the way by Friday afternoon, and putting in some extra hours at work so I can have an extra day to play. 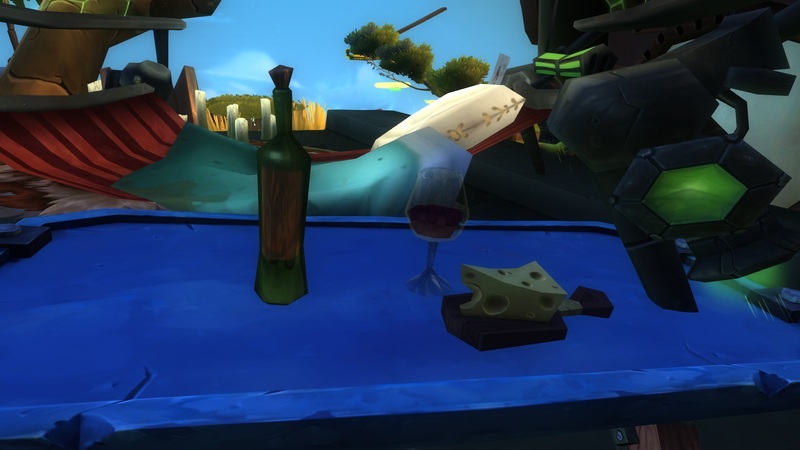 The other side of WildStar planning is figuring out what I will do with those precious headstart days in-game. Will I try to power level? Work on crafting? Reserve lots of alt names? Also this downtime gives me a chance to think creatively about what I want to build first when I get my in-game house. Right now I am leaning toward taking my time and seeing as much of the questing and storylines as I can. But I have a guild of awesome folks I enjoy playing with, so I am sure that if I start falling behind in levels I will push myself to catch up just so I can run adventures and dungeons. I was a bit intimidated by healing and only tried it once in Beta, but I definitely want to make it a priority to try again when the game is live. I find that the first month or so when a new game launches can be the most frustrating and the most rewarding. Servers will be crowded, some bugs will still not be fixed, but the game will be full to bursting with people who are excited about the game. The world will never feel so full and alive as it will in those first few weeks, and I plan to enjoy it! The name of my house once the game goes live will surely be Moonshine Mansion. In beta, however, it was called Grace Acres. I put quite a lot of time and effort into making it interesting, and I did save it with the housing addon so when the game goes live I could in theory have it all back again. I won’t do it though. One of the first screenshots of the interior of my house. Don’t judge! My house in the beta grew organically as I learned about the housing system and got inspired by friend and stranger alike. Each subsection was like a tiny experiment, a test of some bit of the system and its tools. It wasn’t until very near the end of beta that I truly started building based on a vision and a knowledge of what was possible. There were nooks and crannies inside my house by the end that were just the beginnings of where I want to go when the game is live. The other factor at play here is money. In beta there was no reason not to spend every penny I earned on housing fluff. At launch? Suddenly there’s lots of other things to factor into my finances, not the least of which is supporting my architect profession! My plan for headstart is to level and enjoy the core gameplay first and foremost. I will have a house and I am sure I won’t be able to resist doing something fun with it, but I am going to try not to spend too much time on it until a bit later. There’s an ulterior motive here too. The larger, fancier housing models don’t unlock until your character reaches higher levels anyway. Why spend precious hours fixing up your house just the way you want it, when you’ll be ripping it out and replacing it with a larger model in a few days? Unless you’re going to stick with your rocket house (TEMPTING! ), in which case, go nuts! I will certainly miss some of my favorite spots from my beta-version Grace Acres. I can’t wait to get started on the real thing very soon! I’m a bit late to the game in getting this up since I was unable to get to my screenshots while falling asleep at my desk today at work. However last night’s beta sendoff event was so fun that there was no way I could let it pass by without raving about it to you! I was lucky enough to be able to hang out in voice chat with some of my guildies starting from about an hour before the event was set to begin. As a prelude to the Devs’ official activities there was an impromptu dance party happening in Thayd near the crafting area. We watched Twitter and saw some of the devs posting about getting into position and starting some small antics, and we were wondering who would be our leader/tormenter for the evening. Finally a wild Grug appeared! Disguised as a wily evil rowsdower, Grug hung out at our dance party and then eventually led everyone through the city to Fortune’s Ground. I’m pretty sure at least 80% of my screenshots from the event are of giant rowsdower butts. As the clock ticked down to the start of the event, we were delighted to see that Cougar also made an appearance, in the form of the Caretaker and eventually Evil Caretaker. When the clock struck 1am Eastern time the Devs were unleashed!!! and giant mobs and bosses started spawning. 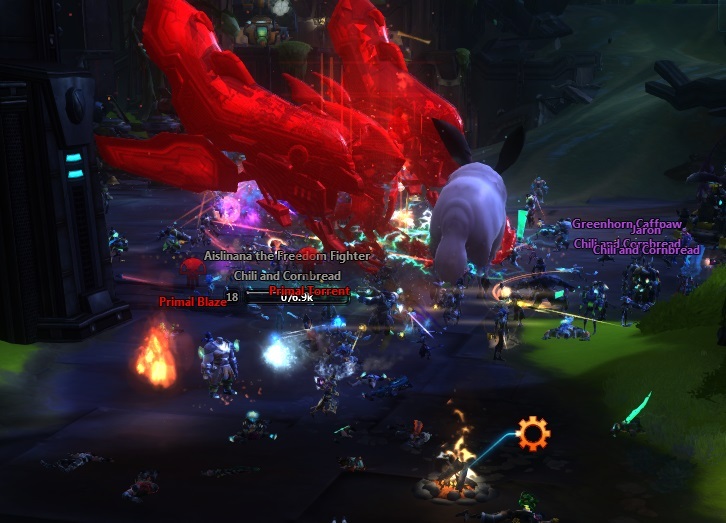 Our server was created after the end of closed beta, which meant that there were no level 50s at all to help us kill the raid bosses that were appearing on our heads. Often a boss would spawn, do a telegraphed attack and then the swarm of players turned instantly into a sea of dead bodies. Still, we brushed ourselves off and came back for more! 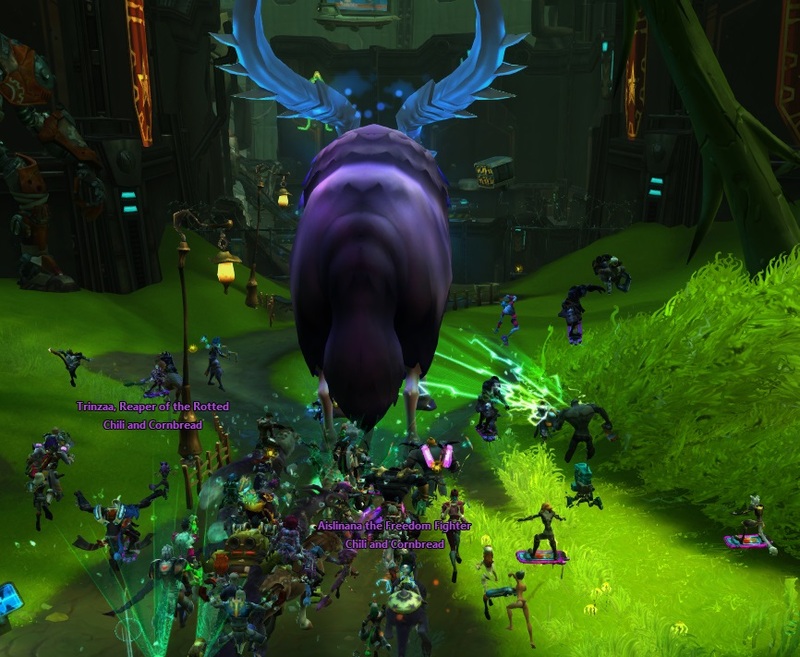 Some of the highlights of the evening were the swarms of tiny veggies attacking, the mob of animated lanterns on a rampage, Cougar dressing up as a giant adorable Lopp, and the crippling fps lag followed by the summoning of huge lines of mobs attacking everyone. The 2 hours went by incredibly fast, especially since we were having such a fun time in mumble. 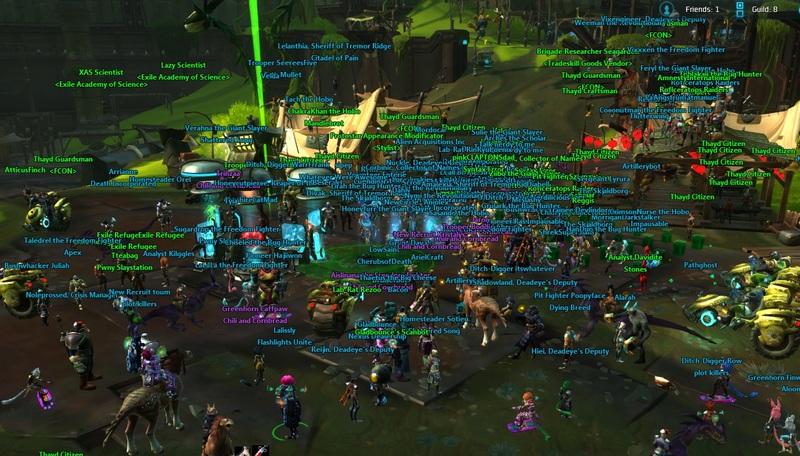 Thanks guildies for staying up super late with me and making this event so memorable, and thanks Devs for giving us such a great sendoff to open beta! 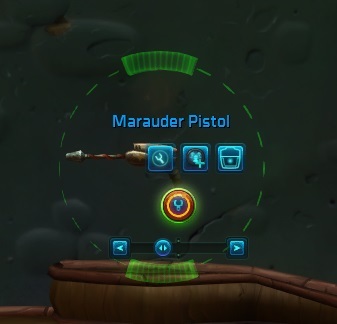 I’ll leave off with the very first screen shot I took in the WildStar beta. I hope everyone had a great time, and I look forward to seeing you when the game goes live! Is the name reservation fiasco over now? Everyone get their name? or at least a name? I admit I got a bit stressed out over it, but looking back even after just a few days it seems pretty silly. I know people can get attached to their chosen MMO monikers, but I feel like as a broad group we know there’s always a chance we’ll have to settle for something different. 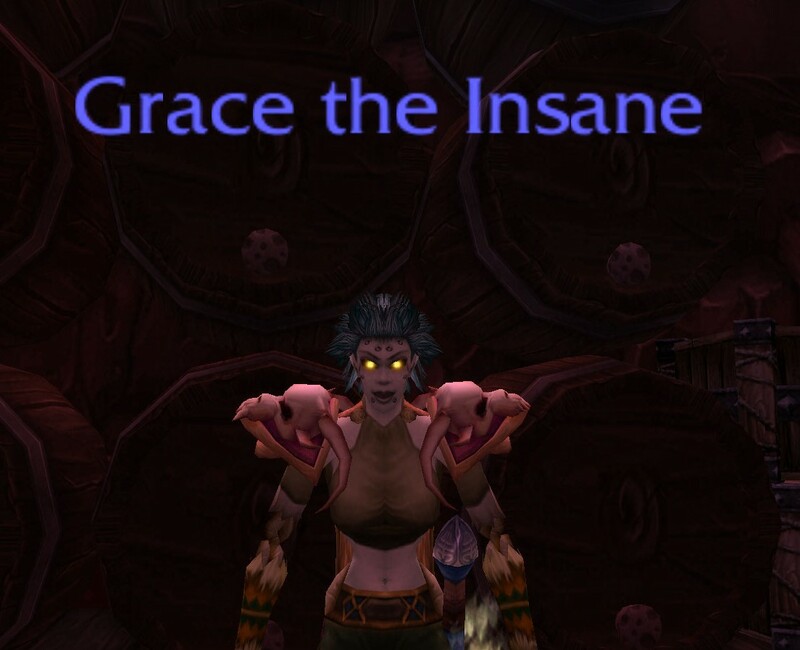 When I started playing WoW I was insanely lucky enough to get the name Grace on my original server. No Gracie, or Graciee, or funky characters that nobody knew how to type. Just Grace. And when the time came that I ended up transferring that character to a different server to join a new guild, nobody was shocked that I had to settle for something slightly different. I am guessing that MMO players who always get exactly the name they want, every time, are fortunate and few. Or choose really unusual names. The rest of us adapt, we move on, we learn to live with our fallback options. Now this isn’t excusing the poor roll-out of the name reservation system. 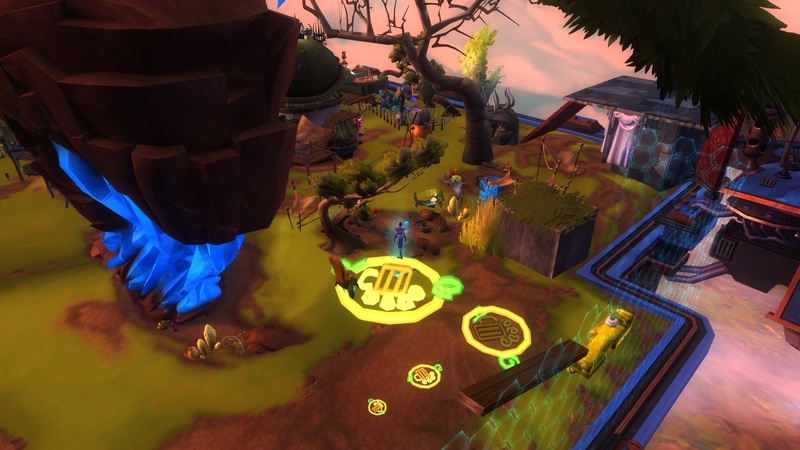 It was a mess, the WildStar folks knew it, and they scrambled to fix things as best they could. The whole process caused unnecessary strife, and arguably made them look worse than if they had just let people grab their names at headstart with no special treatment. I watched my Twitter feed explode as people tried and failed to get their names over the course of the entire afternoon and into the evening. The only reason I wasn’t joining in was that I got extremely lucky and locked in my name quickly before things started breaking down again. 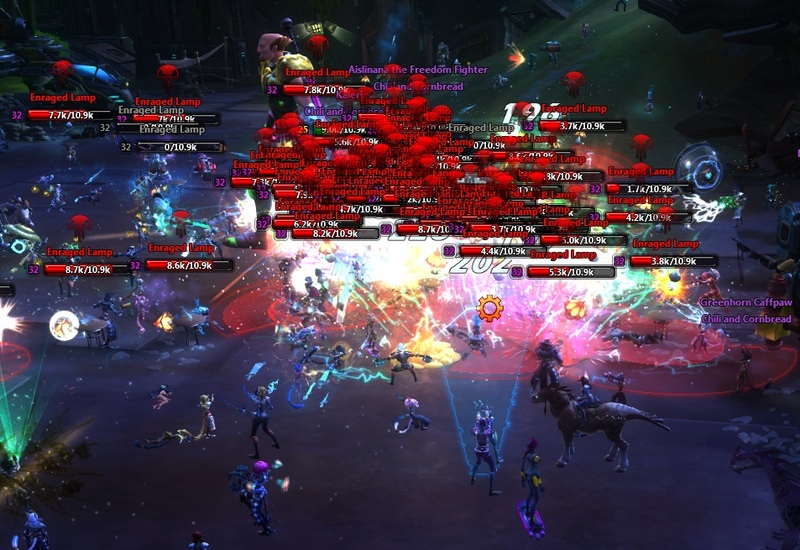 This chaos should have been prevented completely, but in watching years of MMO and other game launches, we can’t say we’re surprised can we? All this does make me a little bit more nervous about launch. I hope that it goes much more smoothly than this. I trust that the folks behind the scenes are working their butts off right now and that this incident motivates them to get everything right when it really counts. All we can do now is wait and see what happens. Hi everyone! I hope you’ve all managed to get logged in and snag your name of choice by now. I’ve got a new Housing 101 post for tomorrow, but today I just wanted to alert you to something amazing! I’ve been holding back a bit on making new things in my house lately, because I didn’t want to get too invested and then have to re-do all my hard work once the game finally launches. Well that changed last night when I saw this: HousingDecorSetManager. Go look at it right now. Save your decor placement. Then automate placing everything again later. 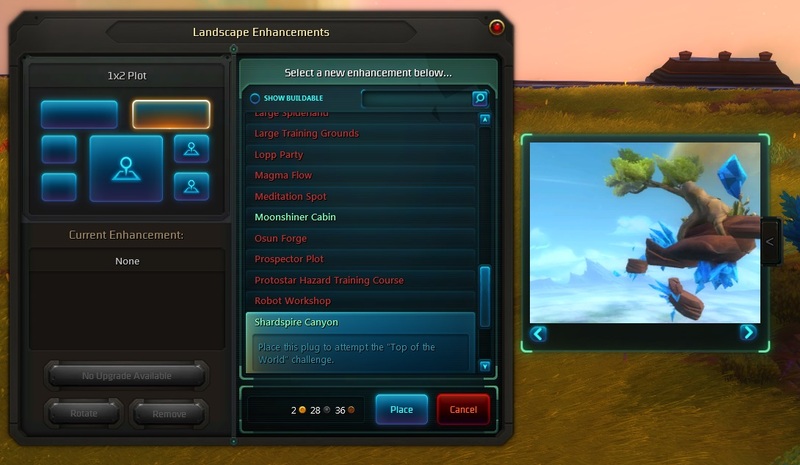 To install it just download, unzip and place it in Users/yourusername/AppData/Roaming/NCSOFT/WildStar/addons. You don’t even have to log out of the game, just do a quick /reloadui and it will be there. It took just a couple minutes to get it installed and save my house. 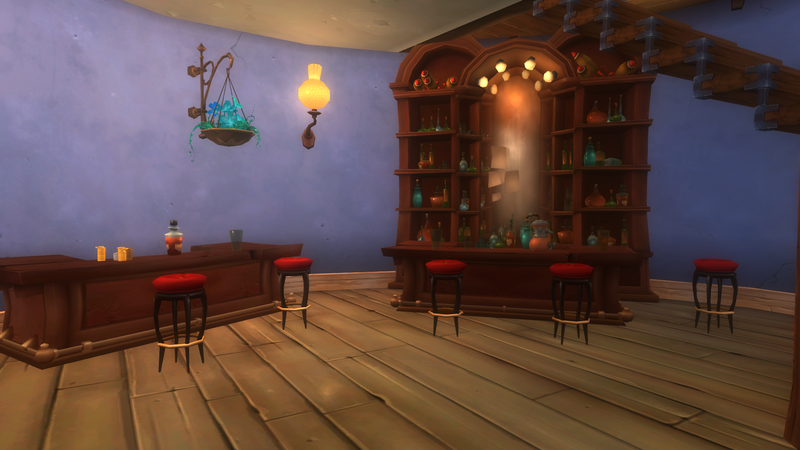 I even tried it out by removing some of my decor from my bar and it placed everything back just as it should be! You can even share your builds with your friends. Got an alt and want them to have the same fancy digs without placing everything again? No problem! So what are you waiting for? Go grab this addon and get decorating! The beta may be ending soon but that’s no excuse to stop creating the home of your dreams! 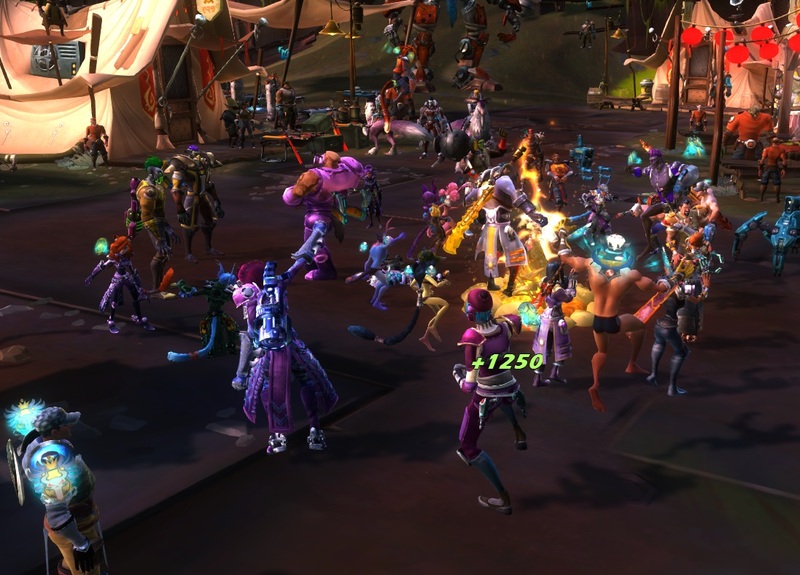 I’m not sure there’s anyone following this blog who isn’t already paying attention to the WildStar news on Twitter. 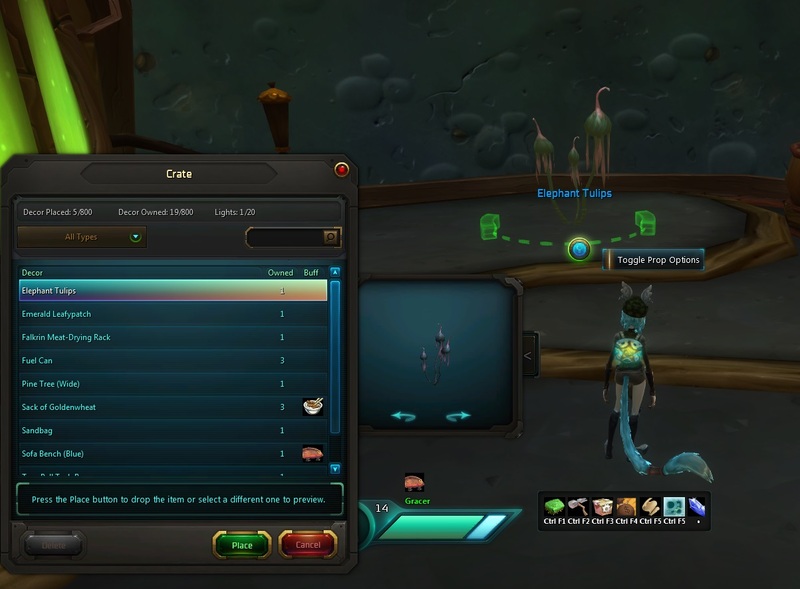 Just in case, though, I wanted to let you folks know that WildStar name reservations for folks who have preordered will go live today, May 13, 2014 at 11am PDT. You will be able to reserve one character name and one guild name, so make it count! Another useful bit of info: If you plan to log in from work or a mobile device somewhere, make sure you log into your account a bit early. You will most likely have to jump through some hoops to authorize your account to work at a new IP address if you have never logged in from there before. 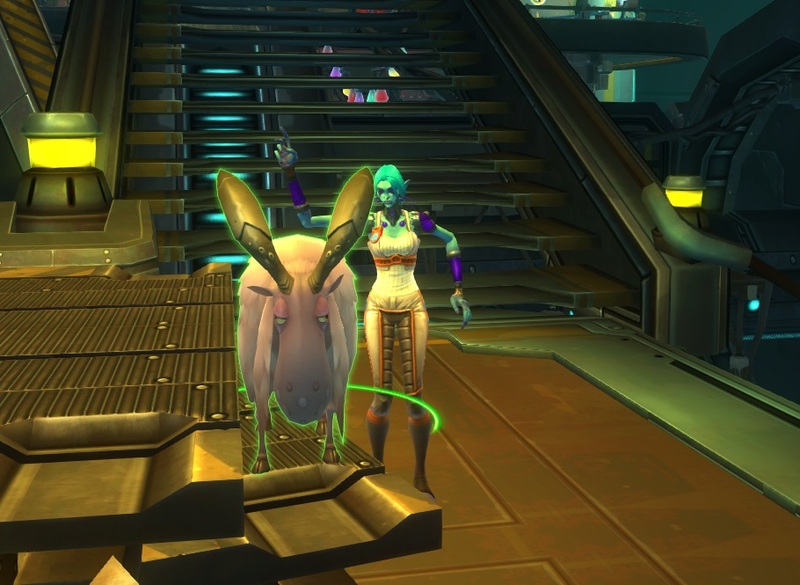 I’ve been trying very had to avoid spoiling all of WildStar during the Beta. I’ve reach the early 20’s level-wise, and I’m not in any hurry to keep questing when I know I’m going to have to start over from scratch very soon. So instead I’ve been spending a lot of time just ramblin’ around. 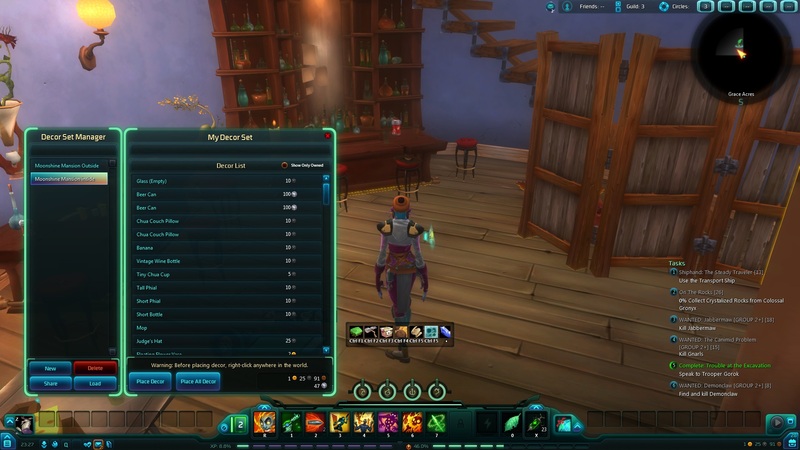 WildStar gives you the option to make your house “Public” if you so choose. People who aren’t your neighbors can’t mess with your stuff, but they can see all the work you’ve put into your home. Importantly, visitors can also still do the various challenges, events and instances too. Over the past few days I’ve visited at least a dozen strangers’ homes. I wandered by pretty much anyone on the public list who bothered to give their home a name other than the default. I’ve seen treehouses, skateboard parks, fabulous bars, and houses full to bursting with toilet paper. There was a restaurant, with perfect tables and chairs and a fireplace. A platform jumping puzzle that took me through a blizzard to a camp at the top of an impossibly huge tree. I even found one person who had built an entire 2nd home from scratch, with beautiful details down to flower boxes at the windows. I’d also like to give a special shoutout to Petie, who was a complete stranger. He invited me to be his neighbor, and shared an amazing jumping puzzle with over 70 pieces, spread all across his entire property. I attempted it for about a half hour and he patiently hung out with me and gave me advice. Even though I never finished it because I’m terrible at platforming, I had a blast trying. Thanks Petie! Here is my wish: I would love to be able to tell each of the folks who made something cool that I visited their house. That I saw their hard work and loved it. That they are doing something awesome. I could write down their names and send them an in-game mail, and eventually I may end up doing this because this hard work deserves praise. But I would love to have a guestbook to sign. Just something small near the quest board at your house’s entrance that lets me give my name and a virtual thumbs-up. 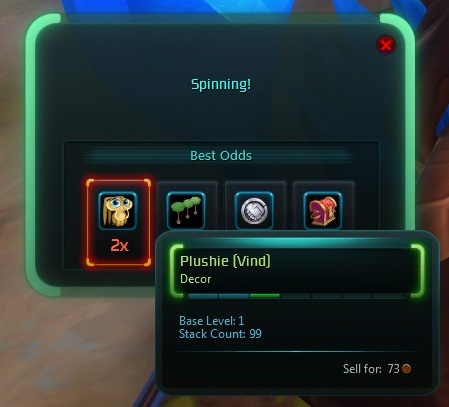 So that’s one of my biggest wishes for housing in WildStar. Have you seen anything cool or interesting on your journey? Is your house awesome and you want me to share it? Let me know in the comments!